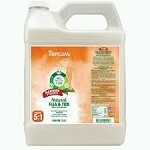 TROPICLEAN DEEP CLEANING WATERLESS CAT SHAMPOO to deep clean without water. Bathing your cat just might be the bravest thing you’ll ever do. 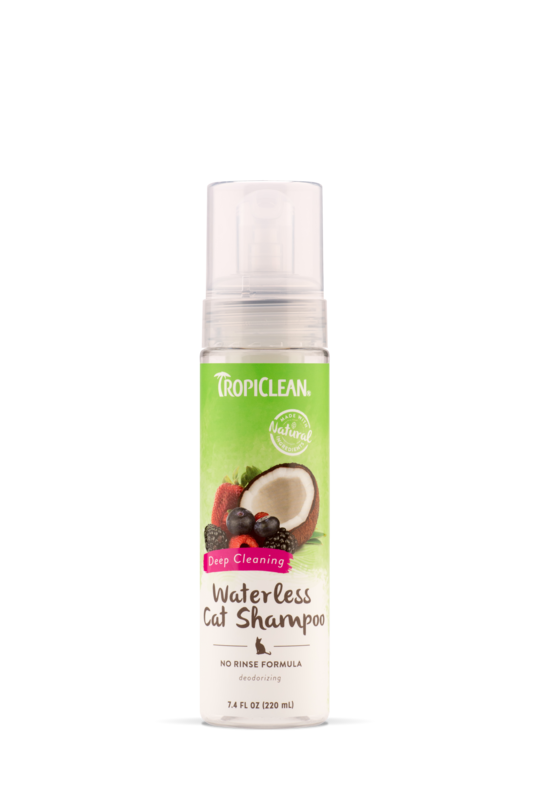 In an effort to help keep you free from scratches and a week of the cold shoulder, we developed our Deep Cleaning Waterless Cat Shampoo. Raspberry and mango restore their natural moisture balance, while our mild coconut cleanser gently cleans and freshens. Now you can keep your feline friend clean and fresh without their irrational fear of water. Purified water, mild cleanser, hydrolyzed plant protein, odor neutralizer, organic blend of (white plum extract, cucumber extract, avena sativa oatmeal).